The countdown on ScariestThingIEverSaw.com ended tonight, and we got the next chapter in Super 8 viral. Once all 134640 bytes downloaded, we got more access to the PDP-11 computer console, which led to some interesting images, which themselves led us to a new viral website. Find out all the details after the break. 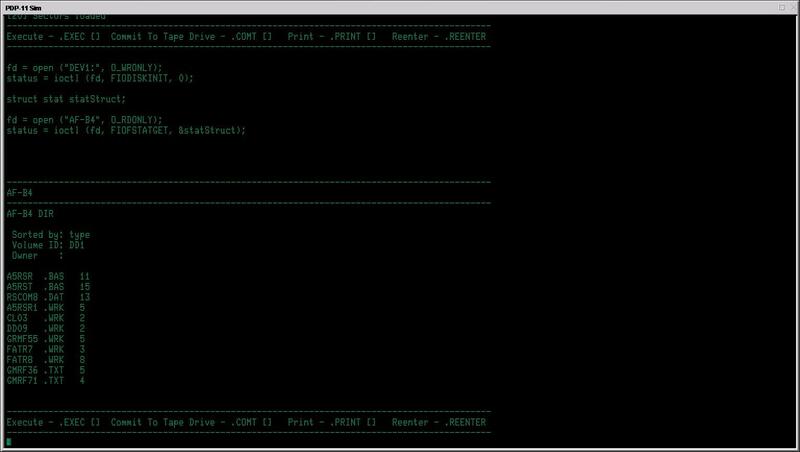 After some computer wizardry (read: a lot of us nerds hacking and testing), the only executable command turned out to be “PRINT RSCOM8”, which gave us the two images below. 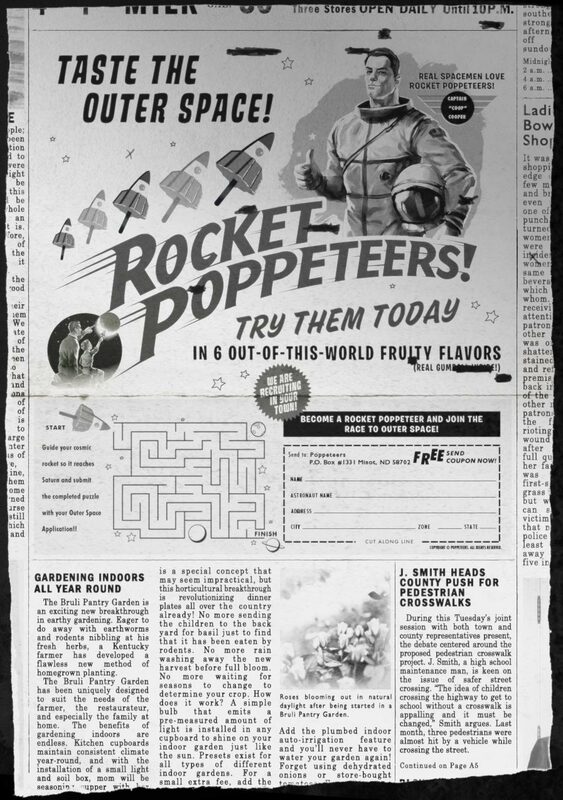 They are pages of a newspaper, in which the first page has a big ad for lollipops or ice cream called “Rocket Poppeteers”, while the second page is primarily a large excerpt from President John F. Kennedy’s “Radio and Television Address to the American People on the Nuclear Test Ban Treaty” that occurred on July 26, 1963. 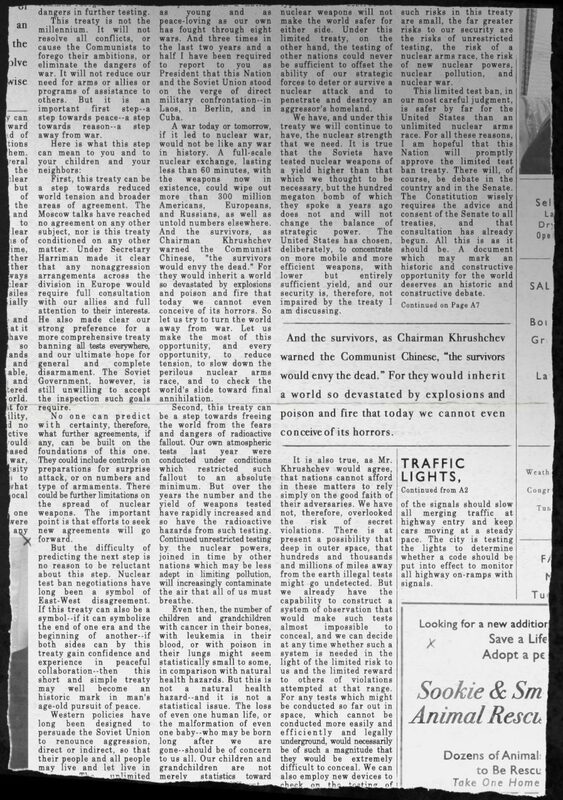 Since newspapers usually cover the news from the day before, his may give us a date for the paper of July 27, 1963. There are a few ways to combine and separate these words to give them meaning, though I find “No certainty if alive, may be after us, we go underground” to be the most likely, since it makes it sound like someone (let’s say D. Morris, since it’s his computer) is warning that he doesn’t know if the monster/alien is alive, that it might be after them (who else is with him? ), and that they have gone underground to protect themselves. Pretty gripping stuff, though even that interruption could be argued against. Finally, J.J. Abrams loves fake products, and since there was a Slusho website for Cloverfield, it’s not surprising that there is a Rocket Poppeteers website, though it is currently down. I imagine it will be live soon, but we’ll just have to wait. What’s interesting is that Captain “Coop” Cooper is the spokesperson for the treat, and all signs point to him being a real person. There is a Colonel Gordon Cooper who could have been a captain at the time of the ad. He was an astronaut who claimed to see a UFO in 1957, and even took pictures and motion film. 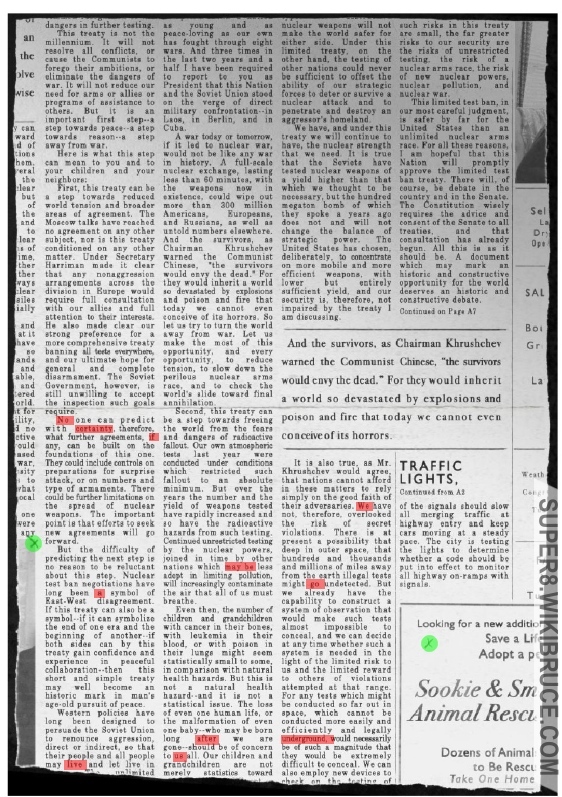 Nothing ever came of it, and he later assumed the photos and film (which never saw the light of day) were added to Project Blue Book, the Air Force’s official investigation into UFOs. Interestingly, the investigation was headquartered at Wright-Patterson Air Force Base. Similar to Dan Morris, if this is not the guy they are talking about, Abrams and crew sure are good at coincidences. We and the guys at Unfiction (amongst other Internet forums) are still churning through all of this, so as we figure out more, we’ll update this page, unless it’s huge, then we’ll give it a separate article. So, stay tuned, and follow our coverage at our Super 8 Viral Page. Leave a comment below to let us know if you find anything, or you just want to join in the speculation. Update: We are getting a lot of comments about how “.REENTER” is also a command that works on the computer. We already knew about it, but decided not to bother mentioning it because, as of now, it’s a dead end. It asks for a device, and despite people’s best efforts, no one has been able to crack it. If they do, we’ll be sure to let you know.